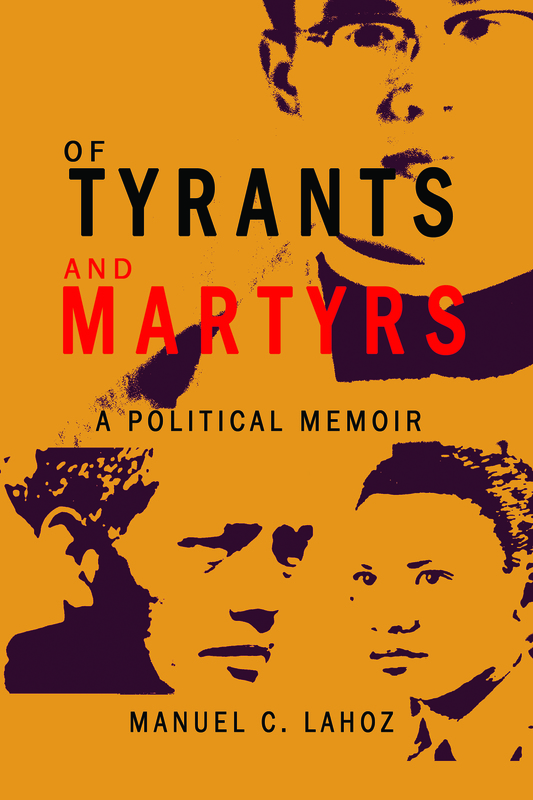 Of Tyrants and Martyrs is an account of Manuel Lahoz’s experiences during Martial Law. In this book, he narrates his encounters with unsung heroes who dedicated their lives to uphold human rights even amidst dark times. The book tells stories of ordinary people such as Fr. Zacarias Agatep, Deacon Santiago Arce, Ama Macli-ing Dulag, Puri Pedro, Sr. Mariani Dimaranan, and Bobby dela Paz who took extraordinary tasks for the welfare of others. More than a political memoir, the book aims to inspire the younger generation not to forget the men and women who lost their lives in their fight against tyranny. Manuel “Manny” Lahoz comes from a line of revolutionaries who fought during the Philippine-American war in Ilocos. Although he comes from a privileged family, he lives a simple life and enjoys farming. Lahoz entered the Immaculate Conception Minor seminary in 1954. In 1967, he was ordained as priest. In 1969, the bishop of Abra appointed him as parish priest of Peñarrubia, a small town in the Diocese of Abra. Because of his involvement in helping the poor farmers of the community, he was included in the watchlist for suspicion of subversive activities. Lahoz had no choice but to leave the church and his sacramental duties. He continued his work to fight for the cause of justice and human rights outside his diocese and he got involved with many activists and groups espousing the same cause. During the height of Martial Law, Lahoz was imprisoned in 1974. Like other political detainees, he also experienced hardship in jail which tested his faith and strength. Upon his release, Lahoz continued his advocacy. Although happily retired at present, Lahoz remains active with his human rights advocacy.